This is a good accessible theatre where you can see great shows. There are different shows each week. Theatre groups hire the theatre, contact Kenneth More for information about the groups and opportunities to join a group. There is a bar on the first floor and seated area next to reception - where you can meet friends. Staff phone cabs or dial a ride for you. You can book tickets by phone on 020 8553 4466 or email. They can reserve tickets for you for up 5 days or 30 minutes before the show. There is an Induction Loop System fitted in the auditorium (where you sit when you watch the show). Please set your hearing aid to the T-position. Click here to see the seating plan at the Kenneth More Theatre. An ice-cream costs about £1.30. A coffee costs about 85p, a bottle of larger costs about £1.30. People with disabilities and supporter concessions are available for all performances. The concessions for senior citizens, jobseekers, unemployed people, full-time students and children under 16 on Tuesdays, Wednesdays, Thursdays and Saturday is £5.00. Proof of identification may be required when booking tickets. 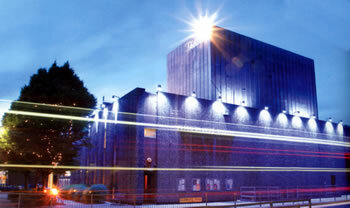 The Kenneth More theatre is a landmark, it is near Ilford Central Library. Blue badge holders are advised to park on the single yellow line on the side and rear of the theatre. There are no designated accessible parking spaces for people with disabilities outside the entrance of the Theatre. 25, 86, 123, 128, 145, 147, 150, 167, 169, 179, 296, 364, 366, 369, 462, 958, W19 and N86 are the nearest buses. 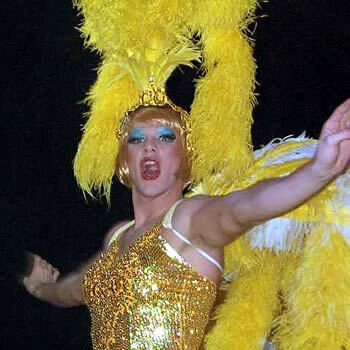 (District Line) Barking underground station is the nearest station from the Kenneth More theatre, from there you need to catch a bus towards Ilford central. Ilford mainline station is about 750 metres from the theatre. There is level access into the building through automatic doors. There are door people working when shows are on. 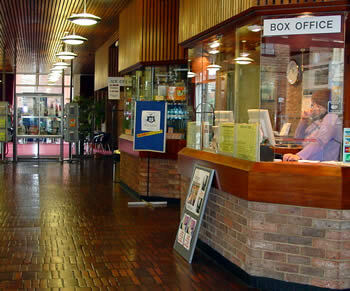 The Box Office is in the foyer of the Ground floor. The smallest doorway is accessible toilet entrance, it's 760mm wide. Here you will find the box office and a seating area. Chairs and tables are not fixed to the floor. There is an accessible toilet near the auditorium (where you sit when you watch the show). The entrance to the Auditorium is flat. There are spaces for 3 wheelchairs. Staff can help up to 6 people transfer into fixed theatre seating - if you like. There are spaces 29 step free seats. Click here to see the seating plan at The Queens Theatre. There is a bar and more toilets on the first floor. There is no disabled access to the 1st floor, you can order drinks from reception, staff will bring drinks down to you on the ground floor. If you use a wheelchair or would like support, staff are happy to support you. There is an accessible toilet on the ground floor near the auditorium (where you sit when you watch the show). The doorway is 760mm wide. They have hand rails. These are unisex toilets. The toilets are not locked.